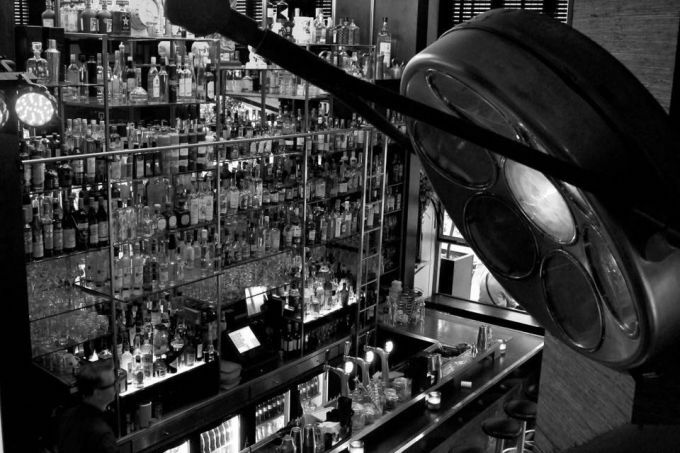 An overview of the many cocktail bars in Amsterdam. With so many new places, this list has been updated December 2018. This lists consists of a whopping 78 bars, so we are pretty darn sure you have not tried them all! Amsterdam cocktail culture began during prohibition, and was mostly hotel focused and, more specifically, American tourist driven. 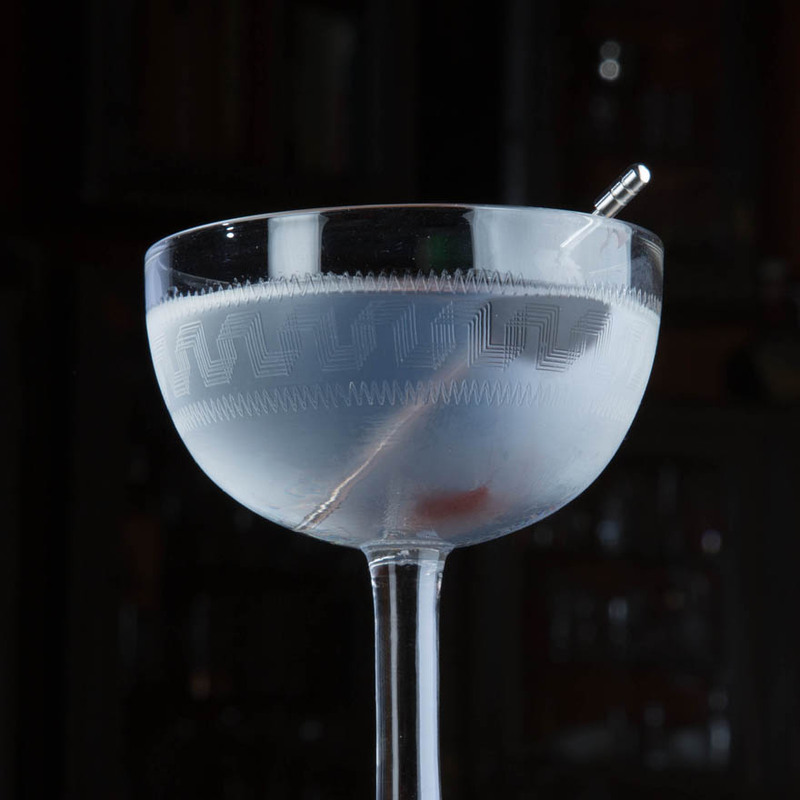 The term "American bar" signifying the presence of cocktails. 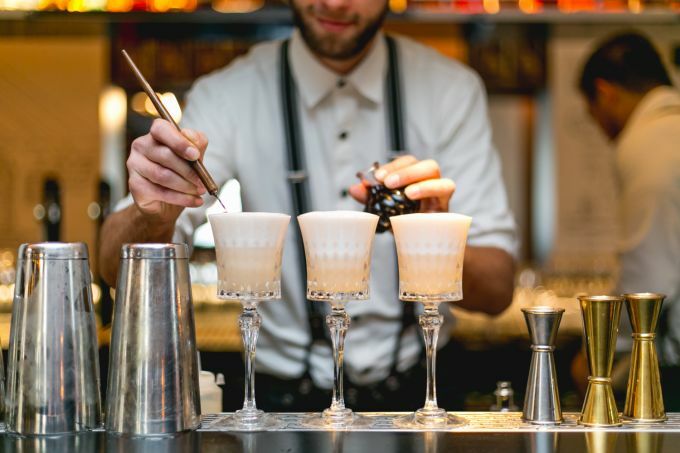 This changed in the 90s, as London influences drove the use of fresh ingredients, and the growing number of expats created a growing demand for bars to enter the playing field. 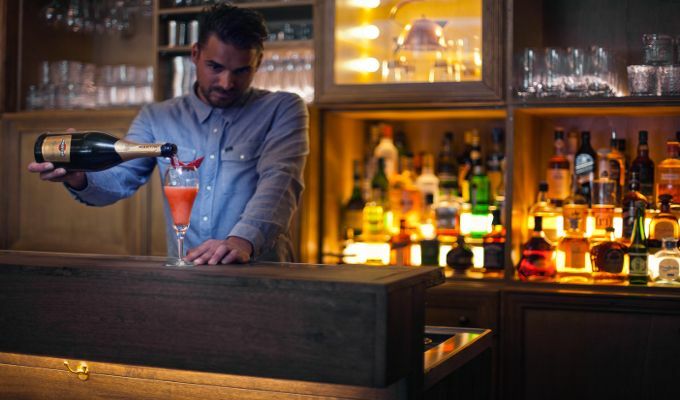 It wasn't until the 2000s that the local consumer entered the mix, and now Amsterdam is home to an exploding number of bars serving mixed drinks. Here are some of the best. Want to see an overview on a map? Look no further! Situated along side a number of landmarks, this bar is a welcome diversion from an area of mostly service depraved locations. 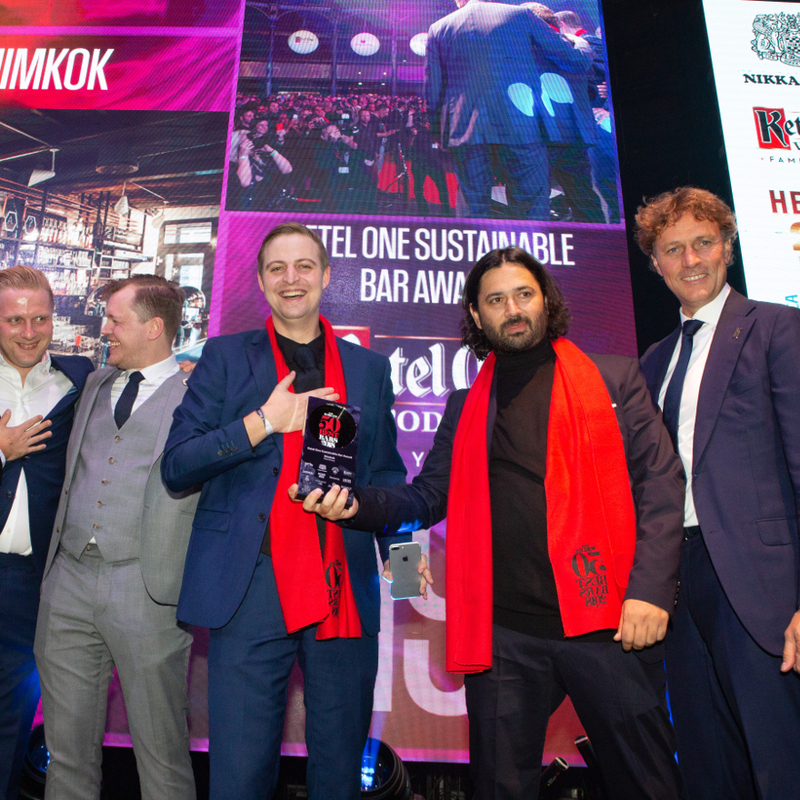 This bar, situated across Amsterdam Central station, is a safe haven for drinks lovers in an area where there is not much quality to be found. Also boasts quite a successful restaurant. Enjoy the finer things in life when you find yourself stranded in in between travels. Can get very busy around aperitif time. 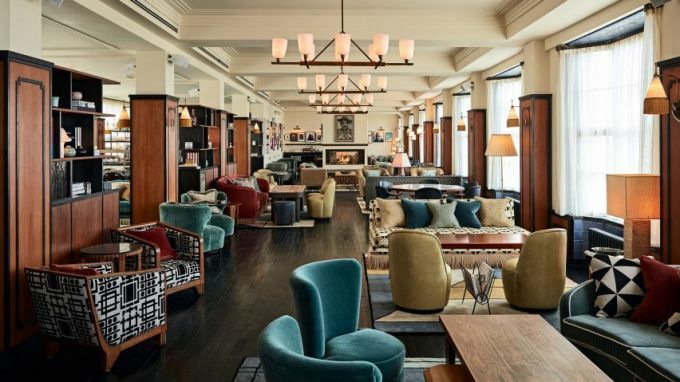 Inside one of the most classic and luxurious hotels the city has to offer, this bar is a bit of a hidden gem of the hotel bar world. 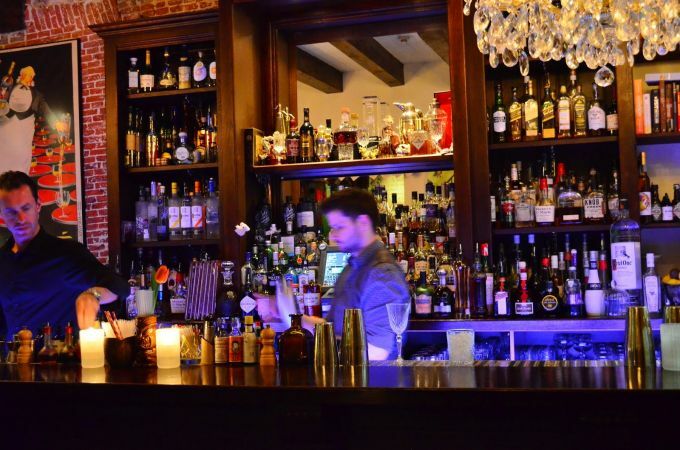 This bar breathes (cocktail) history, both of its veteran team and its world famous clientele. Club meets drinks at Apt, with a young and lively crowd. Can get messy later so you might want te get stuck in early and install yourself where the drinks come out. 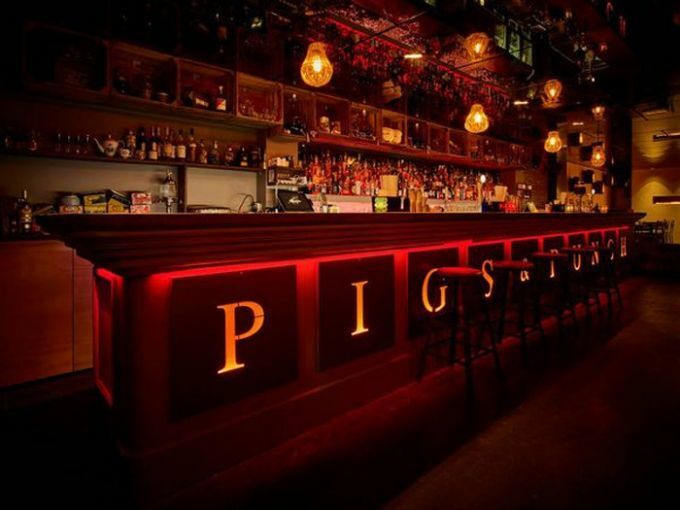 Sergej Fokke of Door 74 and Pigs and Punch fame has done it again with this meat lover's paradise combining great food with a never ending passion for drinks. Please be sure t make it to the right address as they will be moving to a new one per February 2019! This bar has quite the active team on the drinks side with a close-combat style of bar set up. 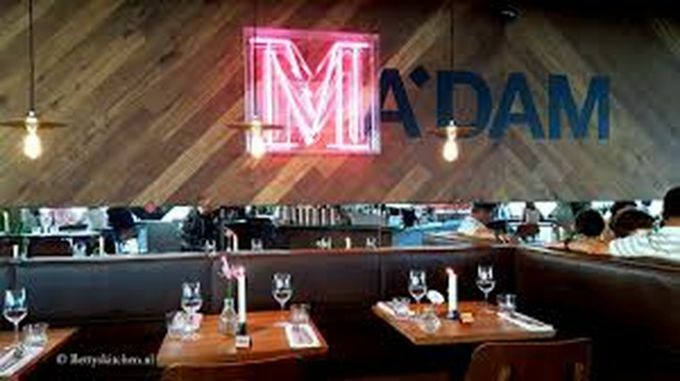 Expect a classic drinks menu and dutch-inspired snacks in a contemporary Delfts-blue setting. Owners Remco Babay of former Porem fame and Rick Welcker of Feijoa combine forces in this bar that pays hommage to their Indonesian-Amsterdam roots in this unique mix, both in flavors as in atmosphere. This bigger brother of the secretive member's club the butcher, focusses on social gathering by offering table tennis, pinball and other activities. This late night den is all about Fun with a capital F. Rum and tequila driven it feels like summer, even when it is not. This club went super nova in popularity in no time at all, and given it is one of the few clubs caring about the drink's quality this seems well deserved. This "adult" club has some talented staff members. If you are the clubbing type, this would be a good candidate for one where you get some better drinking done. Barber meets coffee meets New-Zealand cuisine meets drinks in this all including "man-cave". As you wait for your appointment, be sure to install yourself at the arcade machine when flying solo; start off with some coffee, but quickly move into the beer and mixed drinks selection, as this is an afternoon place, closing around 8 pm. By far the best choice for drinks on the Rembrandt square, this large establishment has some cool interior, relaxed food and drinks as you plan the night ahead. 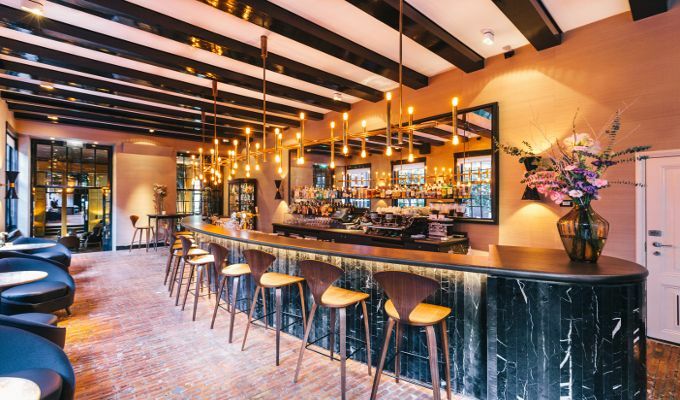 Very very dutch, this genever driven bar, located in one of the oldest land mark restaurants of the country could eb the dutch experience you were waiting for. This Karaoke bar succeeds where so many karaoke has failed in walking the fine line between fun and tacky. Its secret? 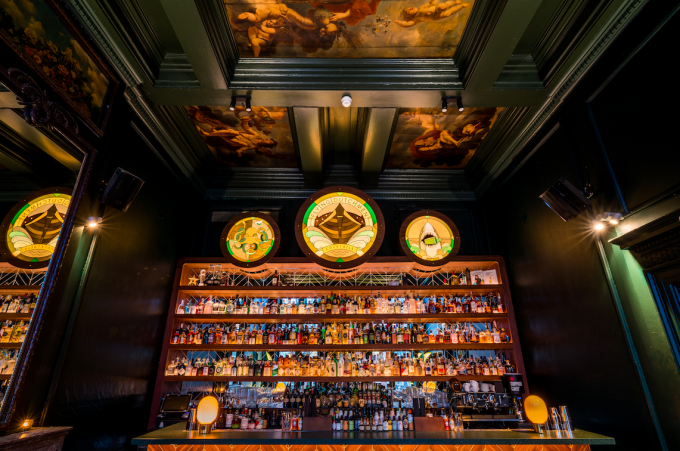 An amazing interior and ditto staff plus an awesome backbar. This bar is strictly for the late-late bar flies. Opening at midnight, and weekends until 6 am (!) it is sure to create some of the best memories, if you can still remember them. 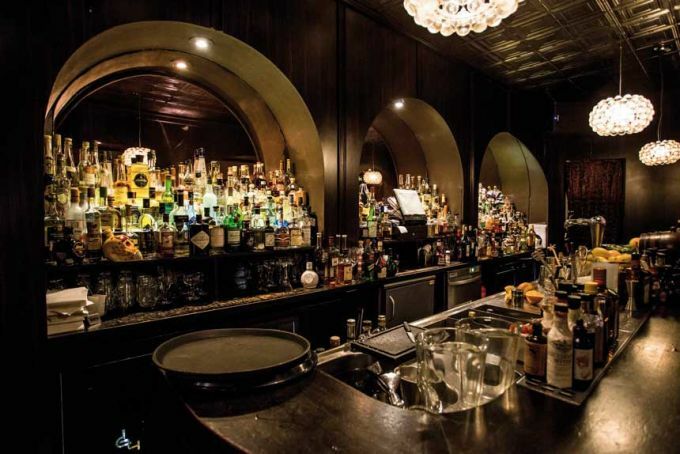 This long-running speakeasy bar has won many many accolades, and i seen by many as part of the must-see bars of the city. Notoriously hard to get into, make sure to reserve on the same day via text. A real "bartenders' bar" this bar is seemingly always in the centre of the action. 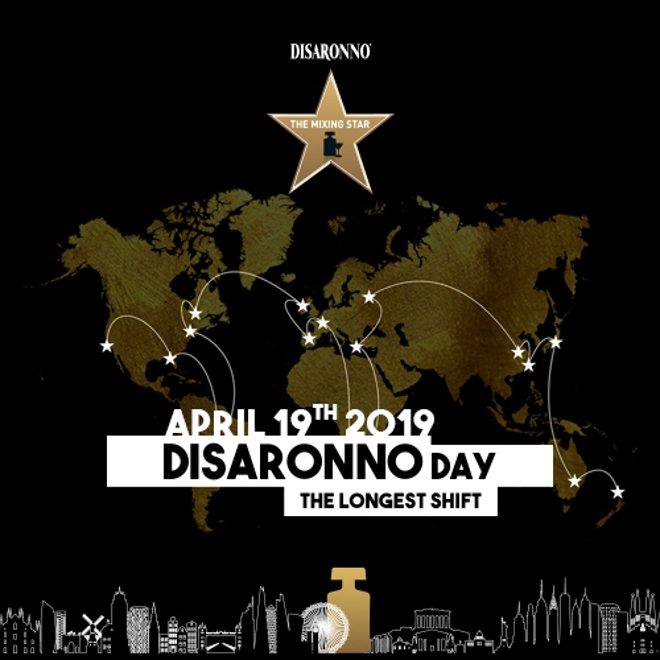 With a good selection of booze, and some banging tunes, it is a bit of a chameleon changing from relaxed drinking early in the evening to all-out madness late at night. Boasting a great view of the city and some creative drinks; this is a very reasonably priced sky bar for when you want to take a break from the madness of the city. 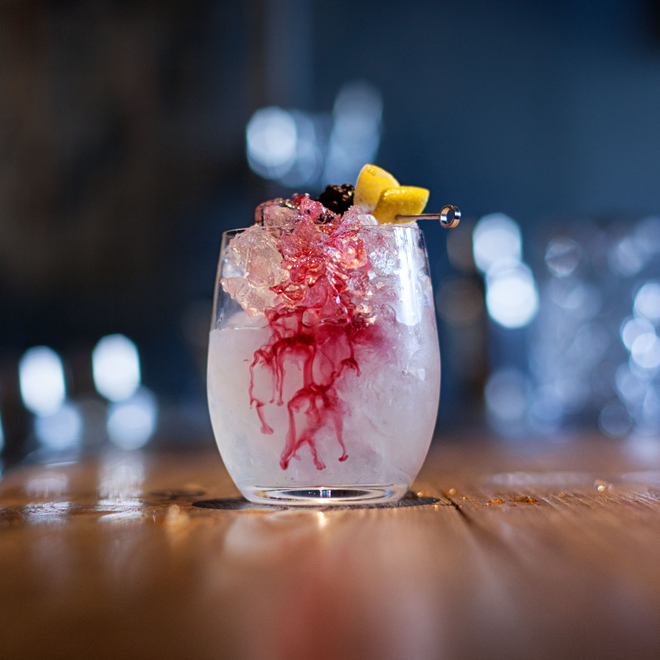 This Fish-forward restaurant also features a passion for unique drinks. This bar situated inside the Odeon building has won its fair share of awards quickly after opening. 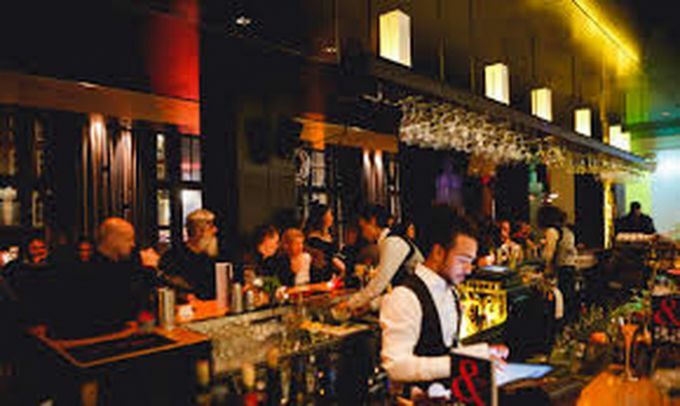 It features the largest opening hours of Amsterdam cocktail bars, as well as the biggest selection of spirits and a relaxed door policy, making it your potential new early/late night bar, or both. For many this is the hotel bar to judge all other hotel bars by. Named after its most notorious regular, Freddy Heineken, there is no shame to order a beer in honor to one of the greatest marketeers in existence. By the look of it, this bar has a single focus: beer. And lots of it, especially craft. But those who delve deeper will find that at its heart is a desire to create and to surprise even the most die-hard cocktail enthousiast. 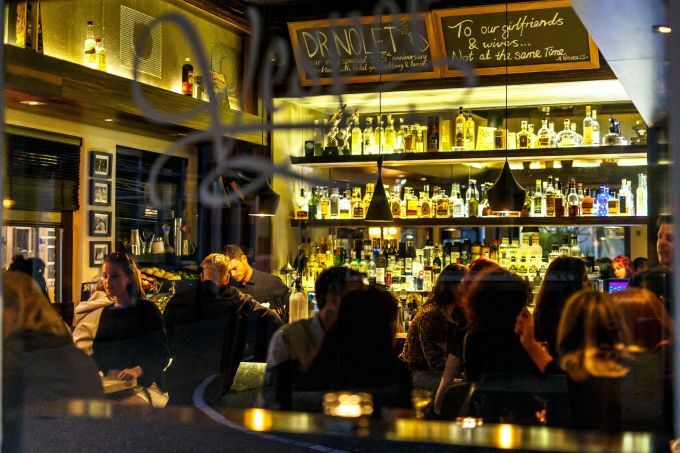 This bar favored by much of the local neighborhood crowd is a great place for a date. It has a younger, vibrant crowd that is certainly no bad thing, and value for money is some of the best in the city. This stylish hotel bar staff was consulted by some of the best in the world, and it shows. Very active when it comes to organizing interesting events, so it might be wise to like their page. 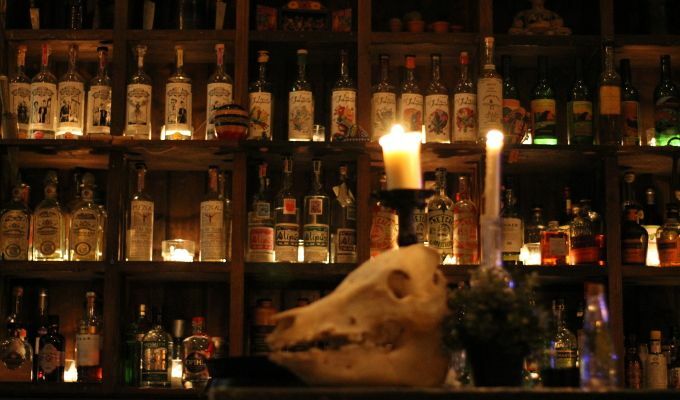 Hiding in Plain Sight is a bar named for it being slightly off the beaten path, but certainly worth the detour featuring some of Amsterdam's most creative menu's and some of the friendliest staff. For the serious cocktail lovers only. If you like your whisk(e)y bars with a contemporary twist, look no further than this friendly bar. The whisky knowledge and assortment is serious, and so are the drinks. The newest bar by the hand of the people behind Tales & Spirits, they went completely in a different direction with a more laid-back approach and live music in a jazz setting. 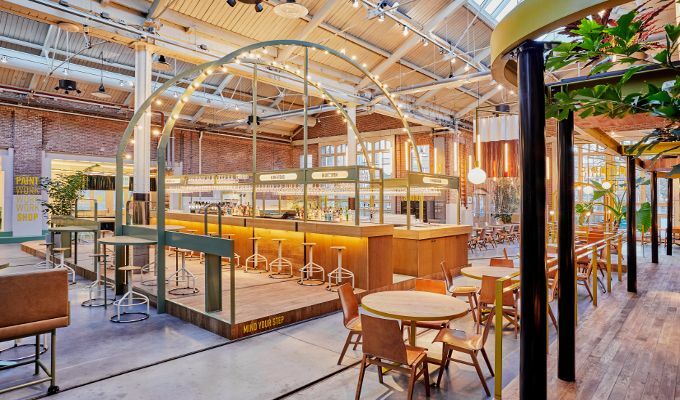 With a closed-loop green house in-house, this bar is sure to raise interest. It has a clear focus on cocktails and a team of crack top notch guys at the helm. 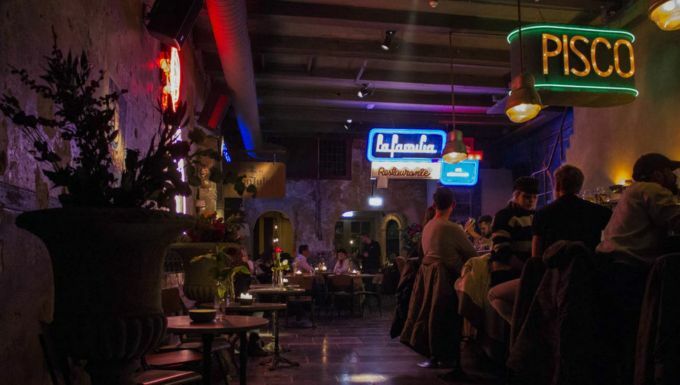 Situated into the immensely popular Foodhallen, this immense bar/club/restaurant specializes in mixers, but be sure to delve into their cocktails as well. 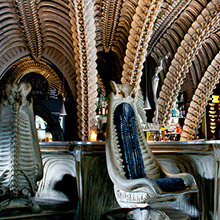 This bar oozes effortlessly cool, as the name suggests. Drinks are very friendly priced and the masses have yet to fully flock it. The immensely popular Westerpark now even has its own hotel. And not just any. This former government building now houses a hotel that prides itself on only using biological products and strives to be zero waste, zero carbon. However this should not take away from the fun to be had within its walls. Owned by perhaps the most veteran local legend of all, this bar situated close to the Vondelpark combines drinks and food with poetry. 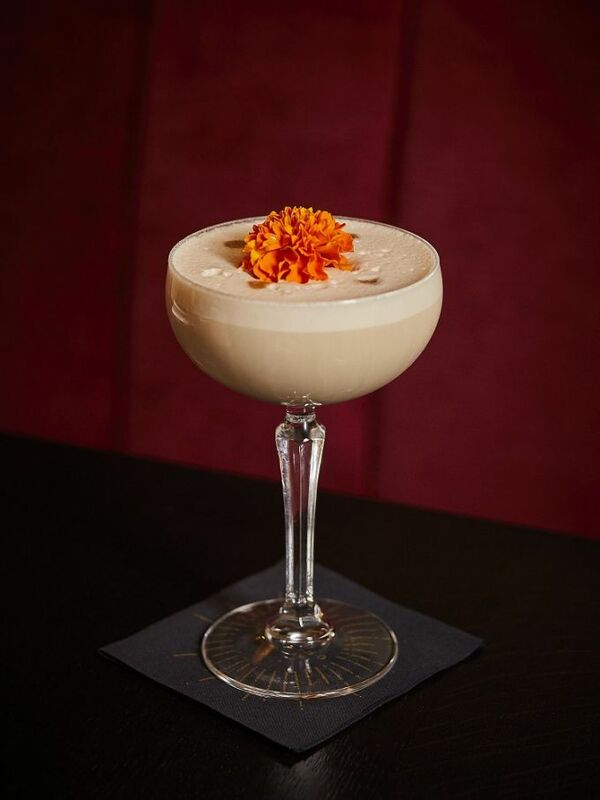 This relaxed bar situated in the immensely popular Hoxton hotel chain, delivers the quality that can be expected from it. With a public house approach and cosy eclectic seating, those familiar with the chain will feel right at home and so will those not familiar with it. 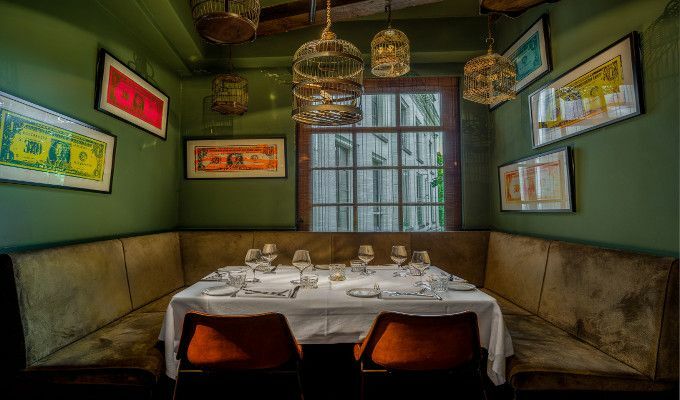 A beautiful interior, situated in a bustling street with many great options, Lion Noir has proven its lasting appeal for dinner and drinks in a competitive area. 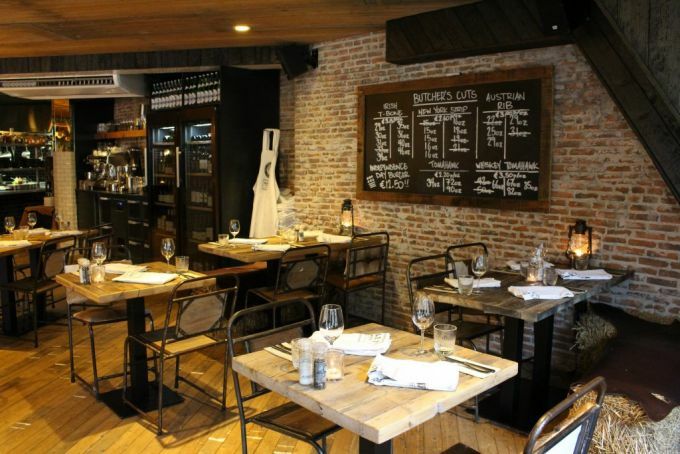 This bar and kitchen boasts a huge corner terrace and quite a large area inside. Recently they have put a refocus on the drinks with good result. 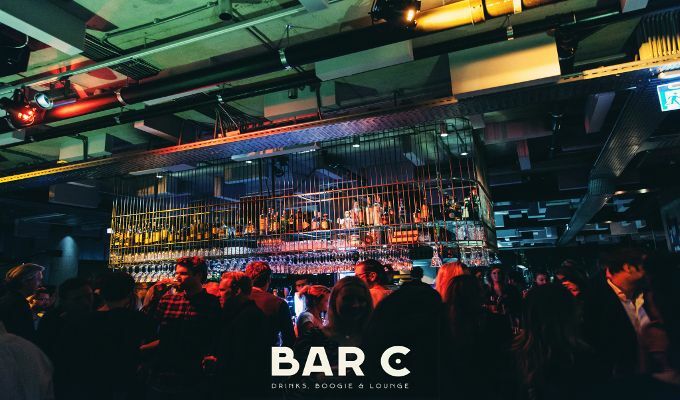 One of the newer clubs to hit the Amsterdam scene, their bar features some high quality staff well capable of banging out top notch drinks. full-blown dinner to a cup of coffee, but don't skimp on the cocktails. This sky bar rose to sky high fame in no time at all and features entertainment as well. It has a genever-driven cocktail list, but be sure to reserve to avoid a disappointing date night. This Tiki-forward cocktail bar inside Hotel Jakarta celebrates fun above all. Relaxed drinks and relaxed shared plate food by the team behind Venster 33. Given the high brow surroundings this is a welcome change of pace. This long standing cocktail bar & restaurant has a history of cocktail making with an asian twist. With a rooftop pool inside of the W hotel, this bar quickly conquered its place as a high-end favorite amongst socialites and lifestyle successes. 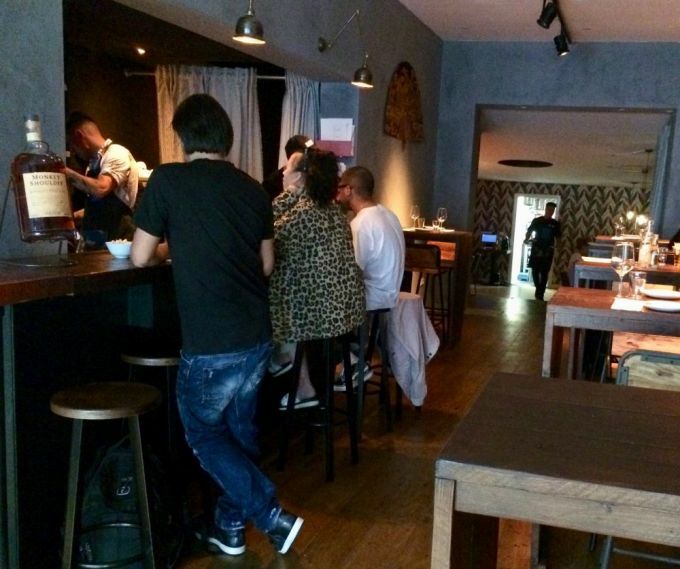 This veteran cocktail bar keeps going stronger and stronger as the undisputed highlight of the Leidseplein area. 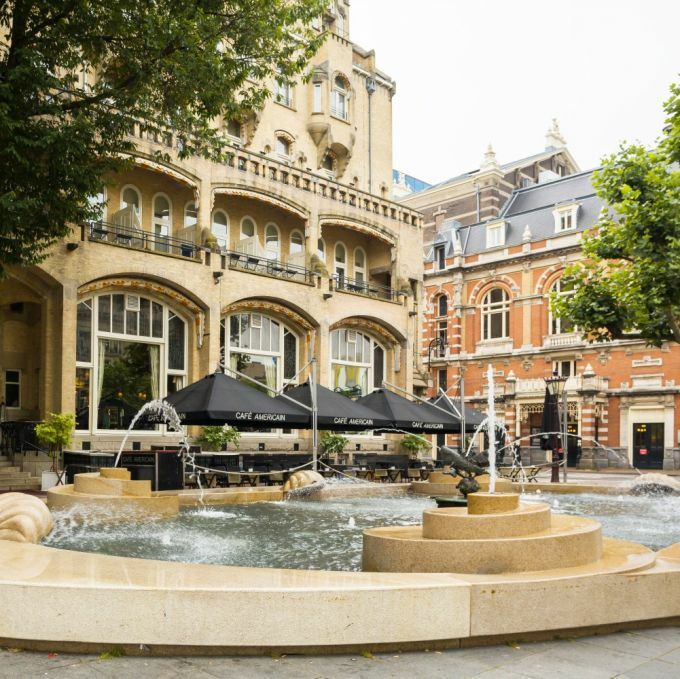 This classic bar, situated in the beautiful Dylan hotel is a great spot for classic drinking, or perhaps a place for something special to celebrate with some champagne. This bar and restaurant has some of the best ribs in town and some of the best behind the stick. The foremost gay minded cocktail bar. Chooses to go the extra mile where others might be tempted to cut corners. Driven by one of the best bartenders of recent years, this relaxed restaurant-bar has some tasty surprises on the cocktail front. A bit of a hidden gem, this bar has quite a few surprises in the drinks department, plus it somehow always feels close by, and because of its easy entrance there always seems to be time for a drink when nearby. 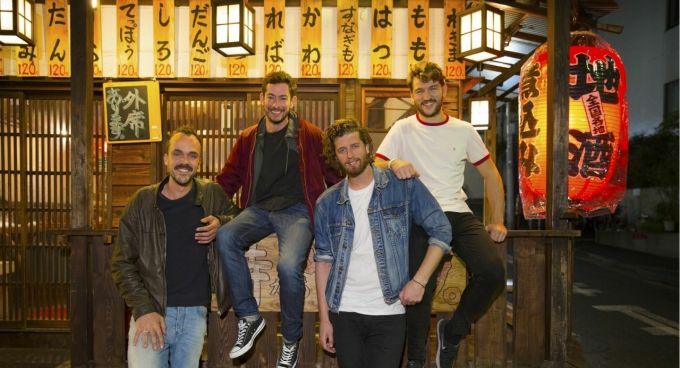 An immensely popular spot for both locals, expats and tourists, this pleasantly designed bar seems to make the hours disappear with each tasty sip. 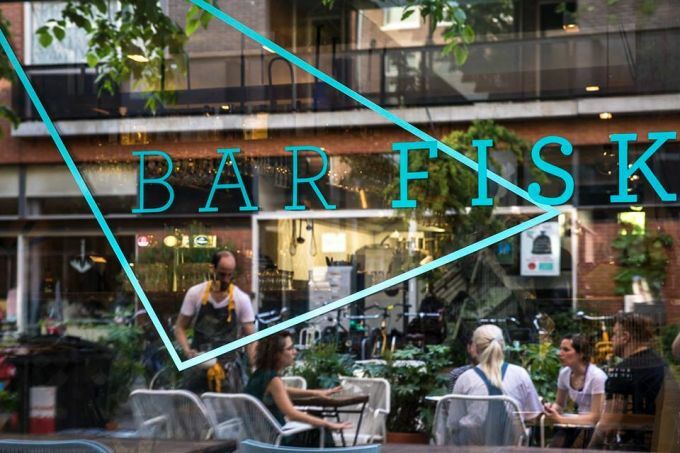 Driven by vermouth and gin, this bar is mostly know for their mixes, but with a very wide selection and thoughtfulness that makes the m a favorite for the local community and aperitif lovers alike. 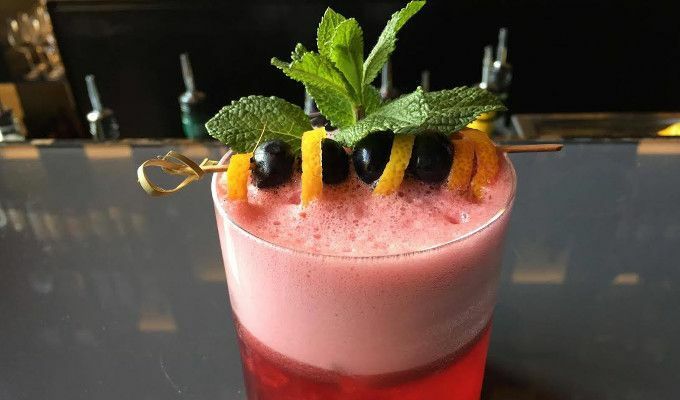 This restaurant known for its unique temperature approach (hence the name), is one of very few to have successfully continued the same passion in their drinks menu and bartenders. This tiny bar has in no time become a hotspot for cocktail enthousiasts, featuring a menu with no brands, only flavor descriptors, and a team of some of the best bartenders around. Be sure to reserve (no groups larger than 6) and open 7 days per week. This location formerly known as Rose's Cantina, now has the people of Salmuera behind it and, in a genius combination of "old meets new" they have made it work as never before. The bar has a daring Pisco theme, and the interior looks like a Cuban pre-Castro street that could have come straight from a movie set. 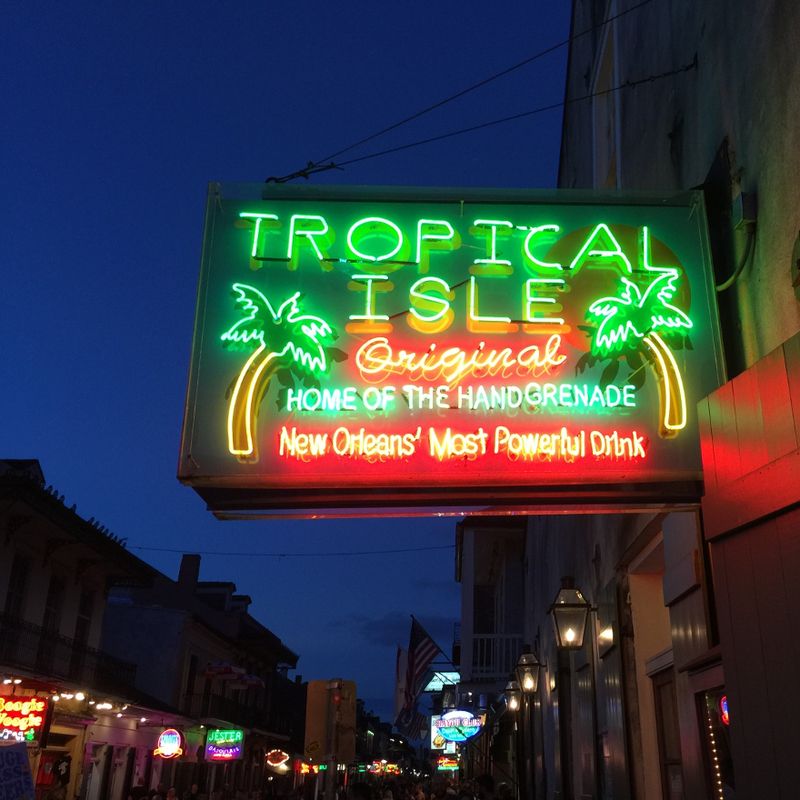 As the name suggests this rum bar is for the Caribbean fans, complete with comfort food, tiki drinks, and rum tastings. As rum increases its popularity in the Netherlands that means a very welcome addition to the bar scene. Very Mezcal heavy, this large sized restaurant and bar gives you a real Mexican vibe without relying on tacky tactics. Some real gems on the backbar if you are not weary of smokey flavor. A beautiful newcomer right in the heart of the city. 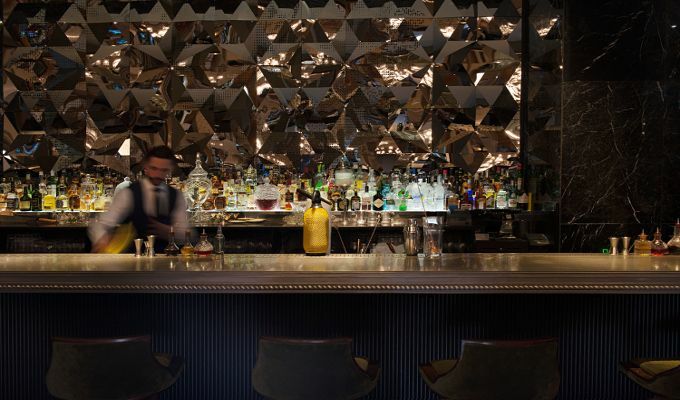 The cocktailbar here is certainly a focal point of the experience and has a team with lots of heart. 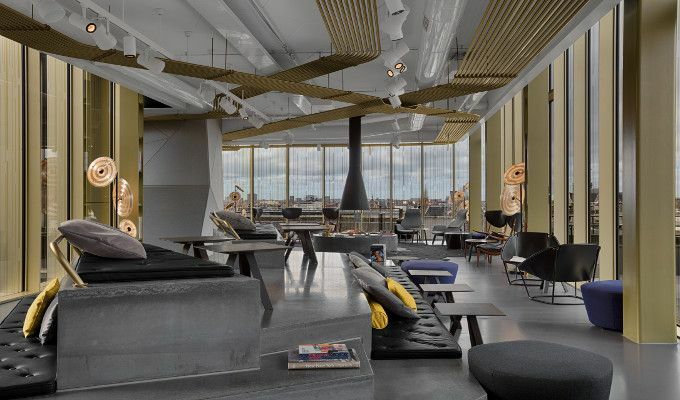 This is not your typical hotel sky bar, with a distinct clubby feel and one of the best views of the city. Located walking distance from Central station inside of the Hilton Double Tree hotel. A welcome safe haven drinks-wise in this corner of the city that always seems changing. One of the original sky bars in Amsterdam, located just off the ring highway, this stylish bar brings class to an area that is not known for class; well worth a try with good view and weather and when in the neighborhood. Completing the Leidseplein drinks triangle between this, MOMO and Americain. This is the most laid-back of the three. The highest ranking cocktail bar of the Netherlands with food as well, this famous bar features vintage cocktail shakers, one of a kind artwork, and some of the best bartenders around. With a huge popularity it is good to reserve, especially in weekends. 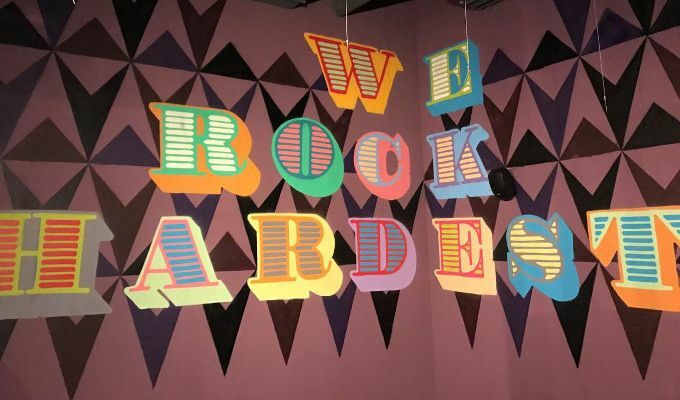 This member/password speakeasy behind a burger joint combines party vibes with burger inspired food for some high end partying. Tricky to enter so do the research before attempting the visit. This bar situated in the back of the restaurant features some well crafted cocktails for the well-dressed. Less see and be seen as some of its neighbors it is advised to grab a seat at the bar and order a signature drink. 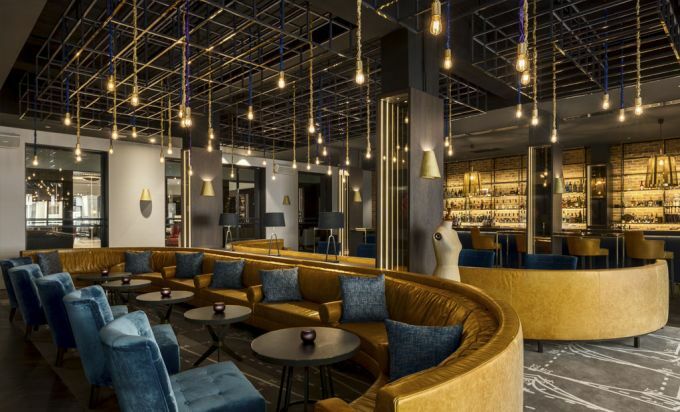 Located in one of the most iconic hotels of the city, this high end hotel bar has benefitted from a fitting concept utilizing the hotel's history with local inspired drinks and some amazing snacks. Go for the menu, created by our own Tess Posthumus for some tasty signature drinks. Get your Ritz on in this classic hotel bar with a twist and imagine being a resident in this almost Rococo environment. This bar, situated in the beautiful Conservatorium hotel used to be known mostly for its extensive gin& tonic menu and assortment. In recent times however, there has been a refocus on cocktails as well. Because of its location and clientele dressing up is a must, and can get exceedingly busy on weekends during aperitif time. World champion bartenders overlooking Dam square using some of the fanciest liquids of the world in a probiotic menu means it comes with a price tag, but who cares when you feel on top of the world? Twenty years ago, this was one of very few places for cocktails in the city. This hotel boasts some of the best Japanese in the country, so when one wants to impress in a classic way look no further. 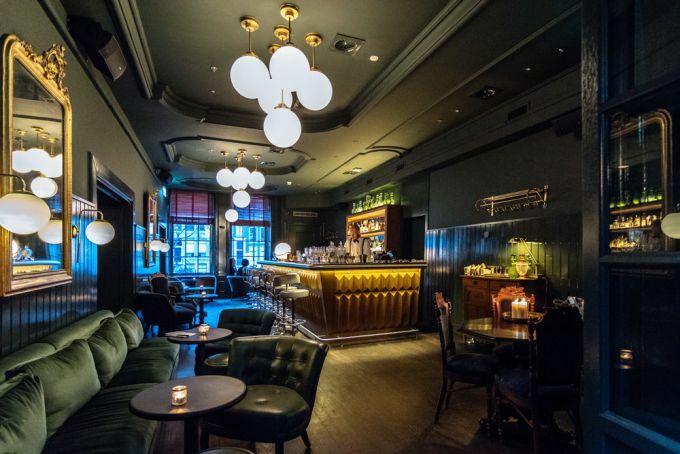 This almost hidden bar inside the world renowned Waldorf Astoria has high aspirations and some of the best service that can be found in Amsterdam, be it at a price. Go for the conceptual menu drinks and wow your date. Dressing up very very much recommended to do the environment justice. 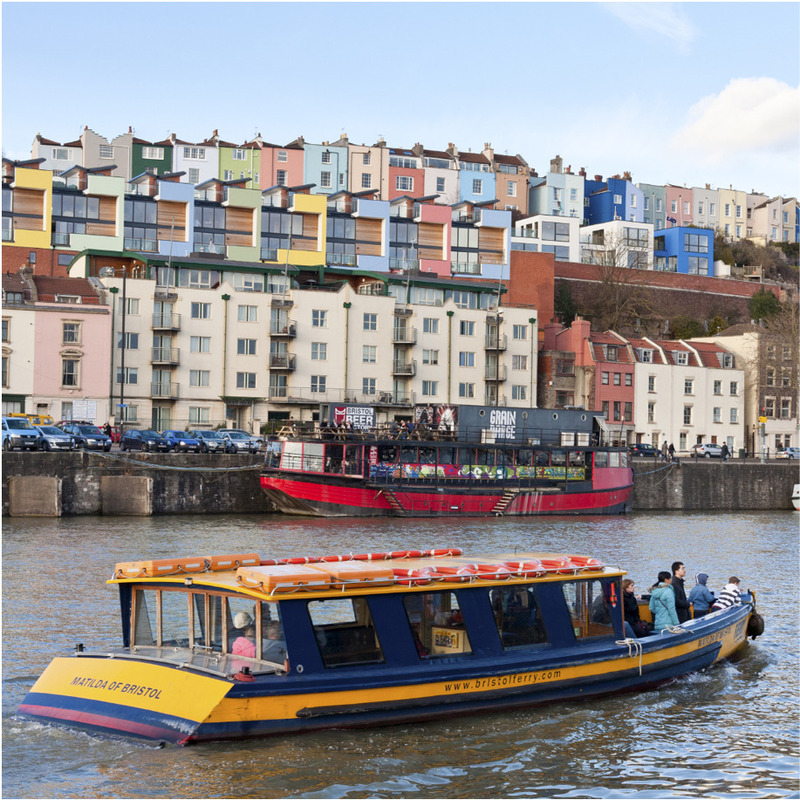 This large venue caters a local clientele in quite a touristy surrounding featuring plenty of gin & tonic action as well as food and cocktails. Very successful after opening and with a pleasant outgoing atmosphere. 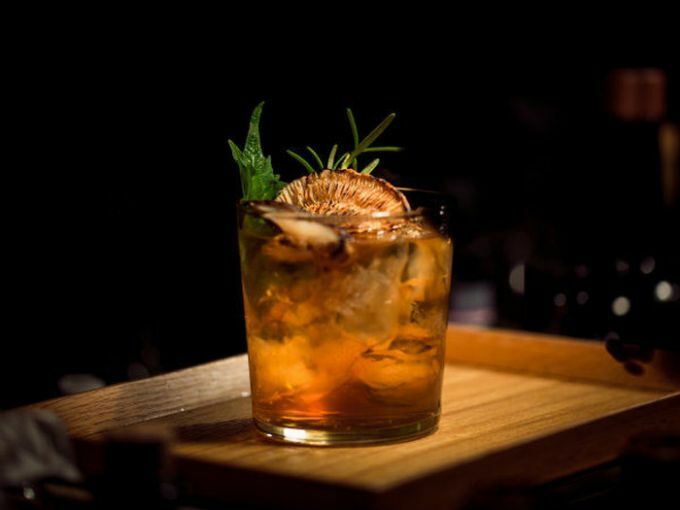 As the name suggests, this local small bar features classical cocktails, but in recent times also is known to get very creative, with a drive for low-waste and new ingredients, plus a great assortment of spirits as well. For most, the Victoria Hotel is the first thing they see when exiting Amsterdam Central Station. In recent years there has been a renewed drive for better drinks at this first stop, which is an amendable feat on its own. The "other" bar at the W hotel, this is a more laid back affair with a menu created by Spraakwater. This very recent addition to the upcoming region of the Houthavens has a mediterranean vibe and the hip crowd is flocking to it all too happily. The term ‘Single Malt Scotch’ refers to a whisky that fulfils all three elements of the term: SINGLE – the whisky must be from only one distillery.